On May 13th, Jeremiah Owyang fearlessly moderated Hyperloop co-founder Shervin Pishevar, Uber Developer Experience Lead Chris Messina, Director of StartupBus Europ Keit Kollo and myself in a panel discussing the future of transportation. 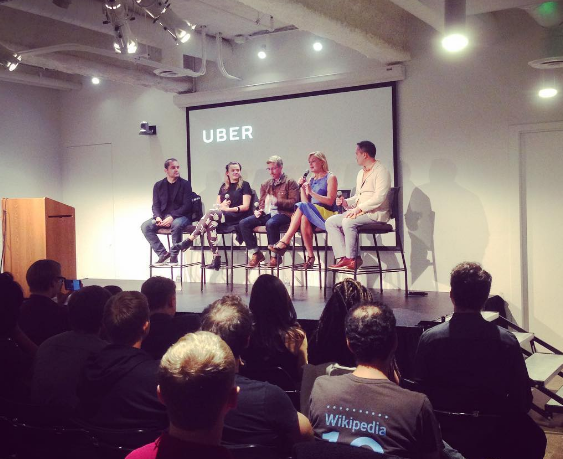 Held at Uber’s illusive HQ, the event drew in 150+ futurists. The discussion ranged from hooking up in UberPools to levitating on the hyperloop. Welcome to the future.